UFC lightweight champion, Frankie Edgar, opens up his thought on withdrawing from his UFC 130 bout against Gray Maynard. Fighting Insider recently reported that UFC lightweight champion, Frankie Edgar, and Gray Maynard pulled out from their UFC 130 bout due to injuries. Albeit the title holder admitted that his back injury was excruciatingly painful, Frankie Edgar explained that he’s planning to go for the bout despite the damage. Things came soon to a head, and the lightweight champion was forced to seek medical advice. When Frankie Edgar was told that he was best served on the sidelines due to his bulging discs in his back, he was left almost devastated. But at the end of the day, he has reconciled with his situation. 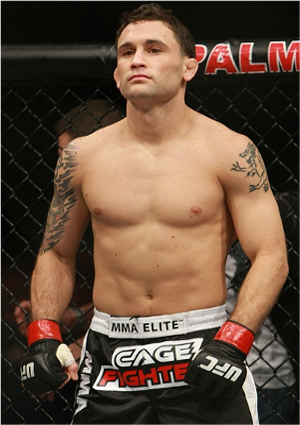 However, it is an undeniable fact that Frankie Edgar is still itching to finish his business with Gray Maynard.